Girls - come on! There's so much to do here in the Wairarapa, all close together and with lots of choice too. Pack your bags! 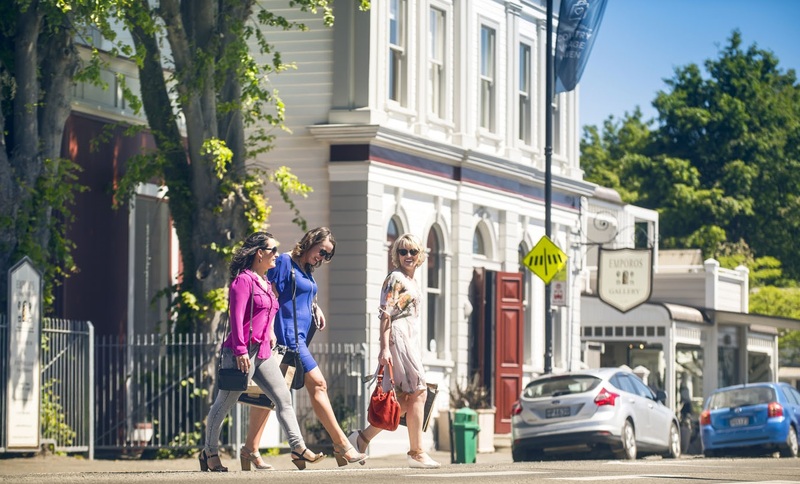 Shop till you drop in gorgeous Greytown - retail therapy is brilliant here at the small distinctive stores. Not a big box mall in sight. Is there a flavour at Schoc Chocolates you haven't tried? Then get there immediately! Check out the chocolate shoes for the girl with everything! Come on a tour - it's easy to get here without a car on the Village Artisan Tour. The delicious lunch is a highlight. Head to the Martinborough i-SITE along Kitchener Street and grab a wine map. Hire a bike and cycle the vines - cellar doors are so close together you'll get to taste and learn more about our wines easily. Relax over a long lunch at a vineyard or at one of the other tempting spots around Martinborough. Be inspired by the creative showcase at Ventana Creative Collective - unique, hand-made items are lovingly displayed in the gallery. Ask about their workshops too - the ideal activity for a group of friends. Visit Olivo and try their delicious infused olive oils. A cleansing ale can hit the spot - head to Martinborough Brewery. Come on a tour - Martinborough Gourmet Wine Tour brings you from Wellington and means no driving. Spend the day tasting wine on this guided tour around the vineyards of Martinborough. Lunch, cheese, coffee - it's all fabulous. What else can you and the girls get up to? Book a workshop with Marty Girl skincare from Martinborough and make your own unique products using local and natural ingredients. Go on make a real holiday of it! 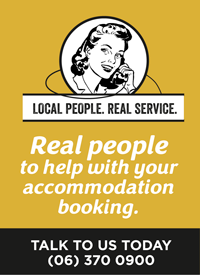 Stay in a cottage, B&B, lodge, motel or hotel. There's a great selection across the region here. Take a look at what a girls trip looks like in the Wairarapa!